Prophetess Baba Vanga is famed for her predictions, many of which have come true with eerily similarity. The Bulgarian psychic, known as 'Nostradamus from the Balkans', has foretold many natural disasters and global wars before they happened. And, despite the fact that she died in 1996 aged 85, she left a couple of clues as to what we could expect as 2018 rolls around. It has emerged she has predicted that Vladimir Putin and Russia will dominate the world, the Birmingham Mail reports . Britain is currently embroiled in words with the Kremlin following the poisoning of former Russian spy Sergei Skripal and his daughter, Yulia on British soil. Prime Minister Theresa May has given 23 diplomats identified as “undeclared intelligence officers” seven days to leave the UK, a move which Russian ambassador to the UK Alexander Vladimirovich Yakovenko describes as “absolutely unacceptable” and a “provocation”. Meanwhile the Russian embassy has told Britain it should not threaten a nuclear nation. Before her death, Vanga predicted glorious future for Russia once more, the Daily Post reported . According to the Bulgarian clairvoyant, Russia will be the world’s only superpower. She also made a chilling prophecy about the use of nuclear weapons and World War 3. 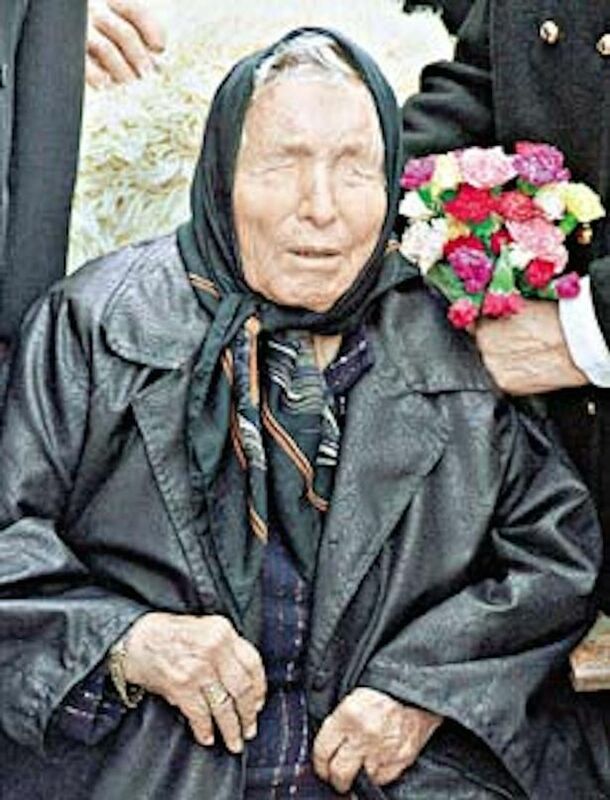 Blinded after being picked up by a freak tornado as a child, Baba Vanga - born Vangelia Gushterova - believed she had the ability to foresee the future. She reportedly made hundreds of predictions in her 50-year career. She shot to prominence after accurately predicting the sinking of the Kursk in 2000. Her millions of followers believe she had paranormal abilities including telepathy and being able to communicate with aliens. Her numerous predictions about world events and the state of humanity have become infamous, including claims she predicted the rise of ISIS and the fall of the Twin Towers. What else did she get right? And what does the future hold according to the mystical seer? Kursk was a Russian sub that Sank in the Barents Sea on August 12, 2000, killing all aboard. In 1989 Baba Vanga said: “Horror, horror! The American brethren will fall after being attacked by the steel birds. The wolves will be howling in a bush, and innocent blood will be gushing." On September 11, 2001, planes hijacked by Islamic extremists hit the World Trade Center in New York, killing thousands of people.